Welcome to Fireside Compounding Pharmacy! We fill most prescriptions in 10 minutes or less! We are a full service, family-owned pharmacy. Compounded medications are “made from scratch” – individual ingredients are mixed together to produce the exact strength and dosage required by the patient. This allows the pharmacist to work with the patient and the practitioner to customize a medication to meet the patient’s specific needs. 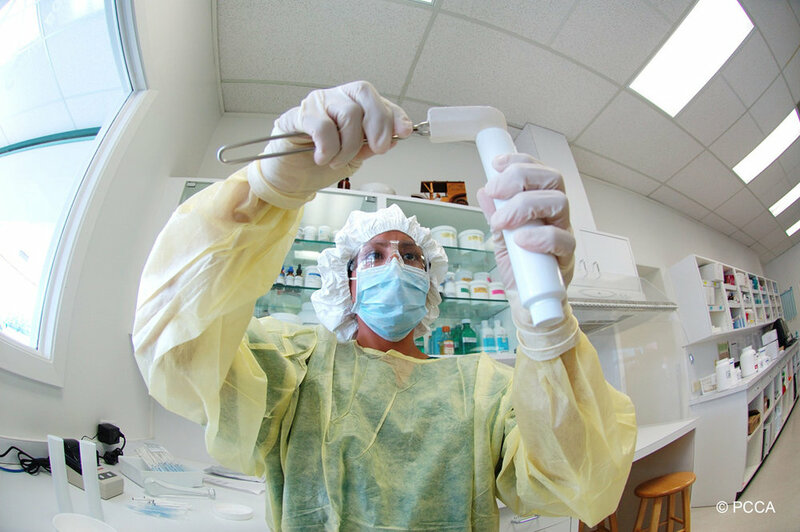 Compounding is a personal choice for us at Fireside Pharmacy. Click to watch a 2-minute testimonial that shows how the power of compounded medication provided the best care for an infant child. Serving patients of the Coachella Valley with personalized care since 2005. Welcome to Fireside Pharmacy! Our compounding pharmacy is a full service, family owned store dedicated to serving individual needs of patients all over California. Home to the largest, state-of-the-art, licensed sterile compounding lab in the Coachella Valley, our team of pharmacists, technicians and drivers are here to help you with your specific needs. Yemi Omilana, RPh., FACVP, FAARFM. Hailing from Osun State, Nigeria, Yemi Omilana received his Pharmacy Degree from the University of Ife. It was there that he discovered his passions for compounding and patient care. Bolstered by hopes to fulfill the American Dream, he immigrated to Victorville, California with his wife Yeti, determined to someday own his own pharmacy. After working for Thrifty Drug & Discount and Wal-Mart for 10 years, he founded Las Palmas Pharmacy in Palm Springs in 2002. Soon after, he acquired the Desert's oldest pharmacy, Fireside (1963) in 2005. And in 2013, he opened La Quinta Pharmacy, our newest location off of Fred Waring and Washington. In his efforts to be a better resource for our customers, Yemi is a member of the Professional Compounding Centers of America (PCCA) and has received accreditations from the American College of Veterinary Pharmacists (FACVP) and the Fellowship in Anti-Aging, Regenerative & Functional Medicine (FAARFM). When not striving to keep his patients happy and healthy, he enjoys traveling with his wife and three kids. Quality and why it matters. Fireside Pharmacy is a member of PCCA, an international organization that provides high-quality products, education and support to help pharmacists and prescribers create personalized medicine. From the moment a chemical arrives at PCCA to the time it ships to us, it is monitored by PCCA's Quality Control and Quality Assurance personnel. Fourteen checks and analyses are performed on each chemical lot as products comes in and are repackaged. If a compound is compromised in any way, it fails the inspection and is rejected. Almost 200 chemical lots each year are rejected. As a PCCA member, we do not compromise on quality because patients’ lives depend on it.